Sometimes the information you’d like to run a Sitecore Content Search query against isn’t readily available via the items you’re trying to retrieve, e.g. information stored somewhere else in the Sitecore content tree or not stored in Sitecore at all. This can result in complex queries or require you to mix Linq-to-Sitecore with Linq-to-objects which lowers performance. Computed index fields can in some cases be used to circumvent such issues by storing the required information in a more “query friendly” manner as outlined below. Create a class which implements Sitecore.ContentSearch.ComputedFields.IComputedIndexField. Create a config-include file which adds the computed index field to the index configuration. 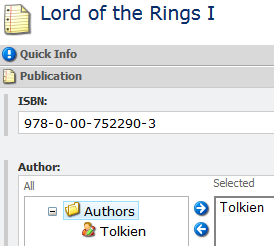 The Author and Publication templates are set up as shown below. The main point to note is that the Author item template doesn’t contain a field called AuthorPublications. The code shown below is the IComputedIndexField implementation itself. The properties FieldName and ReturnType are set based on the configuration shown later and in this case serve no other purpose than being required by the interface. Shown below is the Author class which can be used in Linq-to-Sitecore queries, including a property configured to match the AuthorPublications computed index field. The configuration shown below sets up the computed index field – save it in a .config-file in a subfolder of “App_Config/Include/” (e.g. “App_Config/Include/MyCompany/ComputedIndexFields.config”). Modify namespace and assembly names as needed. When creating configurations for your own computed index fields, I suggest using “App_Config/Include/Sitecore.ContentSearch.Lucene.DefaultIndexConfiguration.config” for inspiration. Thanks Uli, just got it working. You’re comment included some markup which WordPress apparently wasn’t happy with, I assume it’s related to the content search configuration changes in Sitecore 7.2 and later. I am using Sitecore8.1 and implemented your code. However I am unable to see the “AuthorPublications” in Luke. In which Index folder I need to look and what is the default field I need to use in search. Hi, I haven’t worked on Sitecore for a year so can’t help you unfortunately. 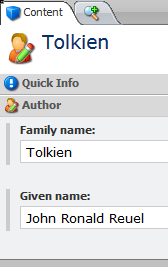 Hi Uli, got a question, where have you declared and defined the other two field properties, AuthorGivenName and AuthorFamilyName? The two fields aren’t configured explicitly in the index if that’s what you mean, most solutions I worked on back then simply had indexing turned on for all fields by default. As far as I remember the file name is “App_Config/Include/Sitecore.ContentSearch.Solr.DefaultIndexConfiguration.config”.